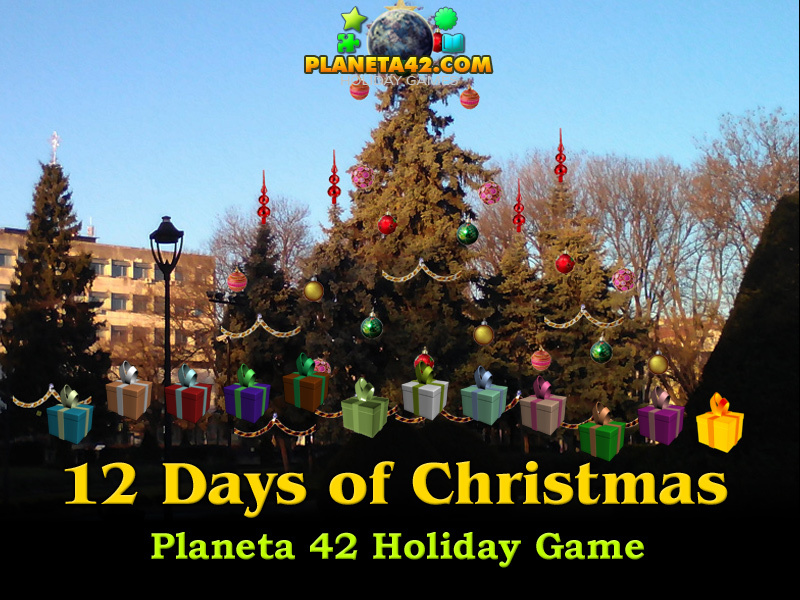 Handy Web Games › Holiday Games › 12 Days of Christmas Presents! Twelve Days of Christmas holiday game. games. Every present will launch a random free knowledge game, as a present for the 12 days holiday. Free fun online greeting card, suitable for desktop computers, laptops and tablets. A popular ritual is every 12 days after Christmas to check under the tree and find a new colorful present there. There are 12 presents under the lovely Christmas tree. Click on them to choose one. Then click again to load a random knowledge game, that will open in new window. Here is a gameplay movie on YouTube. Labels: Christmas Greeting Cards , Games for Christmas , Gift Games , Flash Games , Holiday Games , Free Online Games.